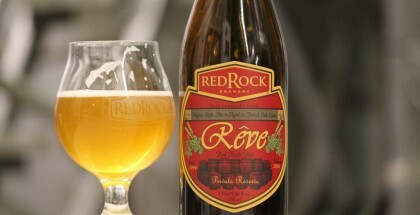 Secale from Red Rock Brewing in Salt Lake City, UT is a beer that comfortably fills the gap between the primary seasons. 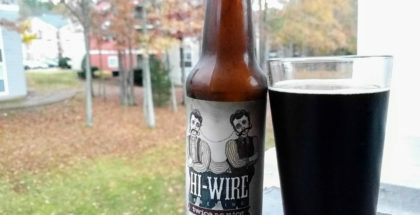 It is a Bavarian-style doppelbock aged in rye whiskey barrels from High West Distillery. 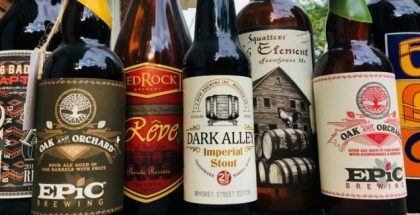 This unabashedly Utah beer has characteristics to please those longing for summer, or those reveling in winter. The taste is malt heavy with characteristics of cereal grain that finishes with a nice caramel sweetness. The nose is roasted malt on rye with a faint touch of alcohol heat. The color is a dark brown with an earthen red hue with a cream-colored head that dissipates quickly. A light seltzer-y mouthfeel clears, leaving a smidgeon of warmth that heats the breath. This beer is a great segue to prepare us for the stouts and sours to come while holding on to what we are leaving. Like a child taking a teddy bear with them on vacation, we may be far away, but we still have a little piece of home to make us comfortable; both warm the spirit.